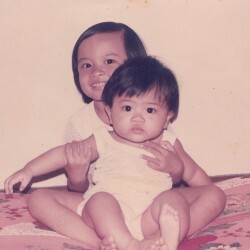 My Blog title says it all. The prose is verbose. There were too many thoughts and not enough tension to get me hooked. I ploughed on anyway because I was already halfway into the novel. 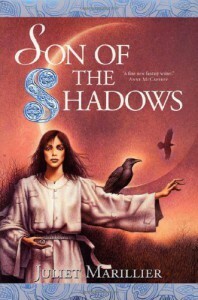 Son of the Shadows tells the story of a young chieftan’s daughter, who falls in love with a heavily tattooed killer (a common female fantasy). She crosses path with a band of mercenaries who kidnaps her when one of their men is heavily injured. She has the skills to heal him. The encounter with the hired assassins leads to a relationship with its leader and like most female fantasies, the badass leader turns out to be a hurt soul with a history. And naturally, he needs saving by none other than the heroine. This seemingly imposing hero finally gives his heart away to a plain yet beloved woman who has wonderful skills in healing and psychic abilities…. I can’t go on. I remember days when I am into such stories. As you get older, you learn that far more exciting fiction exists out there with situations bearing greater importance and deeper meaning than your fancies to feel special. Also, the lengthy dialogues that sound like something coming out of a stage play bothered me. Natural back and forth dialogue is lacking. In this novel dialogues are used to reveal redundant and even useless information that only prolong scenes. Like there's a need to emphasize the importance or the special-ness of a character... mostly the heroine. 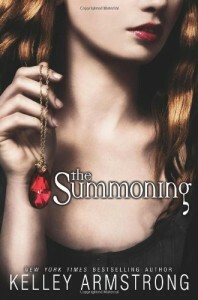 The first book of the series is exciting. I can say I won't be reading the third book. A Zombie with enough self-awareness to mull the meaningless of its existence gets a second chance with life through the power of love. For an ambitious love story that can easily fall into a cheesy romance clinker, Warm Bodies rose to the occasion with its clever and somatically poetic prose thanks to the brilliant strokes of writer Isaac Marion. Not being a romance fan, I picked this book up out of curiosity to discover what had created its film version, whose novel story, witty dialogues, likable characters, and light tone had made its screen adaptation entertainingly digestible. I had never liked any teen romance film before it. My read on the novel takes me to a different level of appreciation. While the film offers immediate depiction of the characters, the novel however, with its scattered physical sketch, demanded my imagination. I’m short on the attention and lazy in the mind. 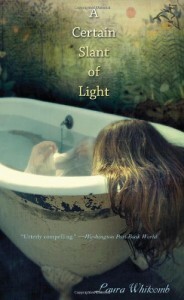 And if it wasn’t for the film, the main characters of the novel remain ghostly images in which I have little interest. Thankfully, the strength of Warm Bodies lies more than character features. 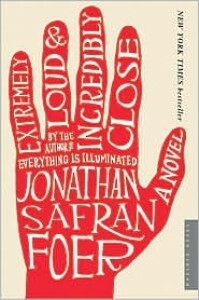 The prose and plots are delectable, injected with enough earnestness and gravity to overshadow the absurdity of its premise. I learned to empathize with those subjected to this zombie plague. I felt the despair of the surviving humans, and felt sorry for the zombies. The main protagonists ‘R’ and Julie are not innocent lovebirds in this zombiefied land. 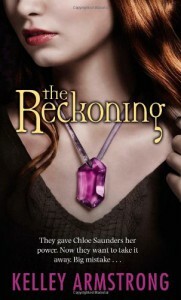 ‘R’ has killed, while Julie has a licentious past. Female romance writers can take a leaf out of Marions book that not all romance fiction has to have relatable, charming or ‘beautiful’ characters. 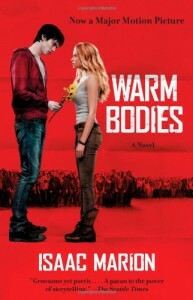 Warm Bodies is a mix of romance without the drama, in a human versus nature narrative so ambitious, only an awesome narrator can pull. Good job to Isaac Marion. And thanks for the movie. Fancy an action packed, high concept, plot driven story steeped in naval history? Don’t care about a prose that tells instead of show? Then this novel is for you. 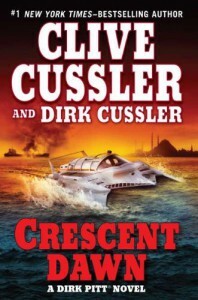 The mysteries in Dirk Pitt’s adventure wrap up cleanly after so much tension building, reading this wouldn’t be a waste of your time. I know it didn’t waste mine. That is how an escapist fiction roll, and my suspension of disbelief just rolled with it. The writing is enough to tell the story, but not to be greatly admired. 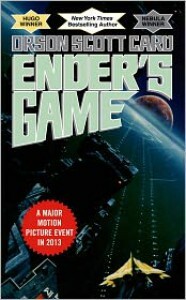 Ender's Game is mostly a series of summaries of Ender's life events - his journey to becoming a great saviour to humanity. He is a military prodigy, handpicked by a host of impotent military strategists who believe that only a sapling, carefully nurtured and trained, can be the best military leader out there to bring about the end of a bug scourge threatening planet Earth. Old military men putting all their chips on ten year old Ender, the boy being incredibly brilliant but morally conflicted commander like a war veteran, and his tween siblings wresting the public's political opinion through the NET, Ender's Game far-fetched storyline is the ultimate children fantasy playing pretend. As an adult, I feel the story is ridiculous. If I were a child, or if I can suspend my disbelief like a child, I would call this story amazing. I'm just glad I managed to finish this before the film comes out and see what the prowess of film making can deliver on screen. Can anything be so absurd but still makes sense and be immensely entertaining? 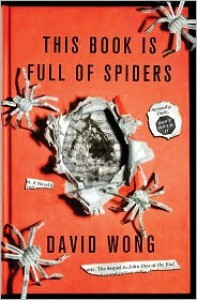 Apparently, it can, with David Wong's sequel to John Dies at the end aptly entitled This Book is full of Spiders. This book is not for the squeamish. Spiders and slimy details abound in this wildly action packed book. Anyone with a decent sense of humour can enjoy John, David and Amy's predicament, going about trying to find each other in the mess David had caused. You'll enjoy this, if you have a sick sense of humour. Four and a half star for this random yet oddly coherent story, about otherworldly infestation and super ordinary heroes chosen by the soya sauce. Everything is explained in the end. Sort of. This book is funny, if you aren't some misery monger. Fiction is creating order out of chaos. Extremely Loud and Incredibly Close gave a semblance of coherence in the mind of a mentally hyperactive kid named Oskar, who some noted is autistic and has Aspergers. His social encounters however, marked with a quirky personality, prove the contrary. Disclaimer here I'm not versed with the disorder to know the symptoms so take my word lightly. As for the narrative, EL&IC's would make a good character driven movie. And its success would depend on a compelling character with palpable external adversaries - like poverty or bullying. Oskar however, faces none of these. He is deeply loved by those around him and only the murkiness of his understanding serves as the main adversary. Hence only on a novel this story belongs. Not for the screen, where a stronger and concrete antagonist is needed to drive the plot forward. In the narrative however, the biggest tragedy impact has already transpired. It is the death of Oskar's father, who died in the September 11th in Twin Tower attack. EL & IC is merely a journey towards clarity and healing. If EL & IC is based on a true story, like say, The Pursuit of Happyness, it would have touched my movie heart. Character emotions and motivations, as depicted through multiple perspectives in this novel is ineffectually lost in streams of random thoughts by Oskar and his grandparents. On his grandparents, I understand that depression and fear can drive people to do unreasonable things, I just can't empathize with Oskar's grandparents' predicament from that reason alone, rash decisions out of desperation. It feels gimmicky. I'm more shocked at the tragedy that occurred at September 11th. When it comes to taste, I guess non-fiction sad stories is more to my liking. Insightful, ironic and Inspiring. 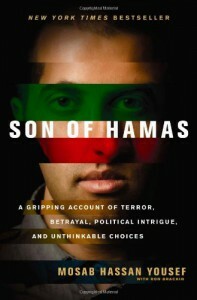 Mosab's story lends greater understanding of the conflict in the middle east and how the conflict around and within him led to his conversion into Christianity. I'm a reader of the odd. It's been a while since I read this. 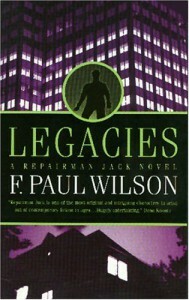 F. Paul Wilson's writing style and story sense will definitely keep you reading to the end. 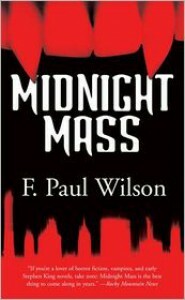 If you like supernatural thriller that is. It's been a while since I read this. 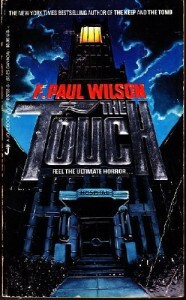 This novel put vampires back in their proper place, vile, damned, dastardly, or in the words of F. Paul Wilson himself - soulless, merciless, parasitic creatures - and not the dashing romanticized aesthestic pack of meat they're are so often painted as, especially by women authors. They're leeches. Tapeworms. Even mosquitoes have more honor than them. I read this again thinking I hadn't finished the first time. Turns out I did. Still a great ride. 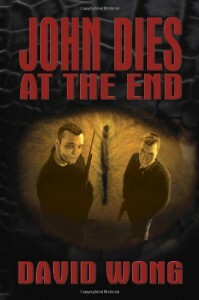 The storyline is a tad dated and extreme on hindsight. But when character development, plots and prose are as strong an as they are in this book, plausibility of scenarios can take a step back. Enjoyment is there for the taking. Hey, I remember reading this and was fascinated by Whitcomb's prose. 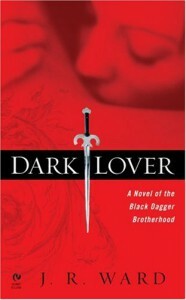 One of the few books I read before discovering Goodreads (review first posted there first). Apart from omitting the consequence of using some else's body to satiate fleshly desires (leaving it much to the readers' imagination) which is not really nice in my book, Whitcomb serves a delectable work with this one. I read this during that time of month when I was hormonally charged. Not proud that I did. This one has copped my attention, reeling me in with its fast paced prose. 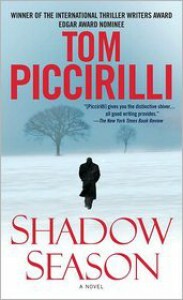 I have to take breaks to savour the Piccirilli's literary prowess. This novel is literally the ending of a three-book-length story. I skipped to the remaining 30% of the book when the beginning story didn't grip me. Nary a flicker of intrigued piqued when I discovered someone wasn't a turncoat at all. Said character wasn't great or admirable in the first book aka the (the setup book). The denouement is like watching the ending of a Buffy the Vampire episode. Final setting, generic. Central conflict, prosaic. Execution, fine. Love the prose yet sparing details was unhelpful to my picturing of the sets. The characters' pow wow descriptions are excellent. Nothing but a good prose to retain my attention. Slow story buildup but intriguing premise. Also, this novel has great characters. Wish I can say the same for the plots. Cliffhanger ending is not cool.